The relatively unknown Clover Holdings purchased a domain name from Escom LLC at an auction for $13 million in 2010. This is perhaps the most dramatic example of domain flipping. Domain flipping involves buying website domains with the aim of selling them at a profit. Though the Clover purchase involved millions of dollars, this is certainly not the norm. Nevertheless, it is possible to draw fairly good profits if you have the right approach to domain flipping. The focus of the site and the strength of the domain name are two important factors for success with domain flipping. It is often helpful to focus on a common niche or sub-niche, though it’s usually better not to base your URL on the niche’s main keyword. The most popular keywords within a niche are often extremely competitive. Rather, search for related keywords that you can focus on. Choose among keywords that have high search ratings but low competition. Online keyword research tools will help you figure this out. Do extensive keyword research when searching for an unused domain name, and pick out a name that includes your keyword or keyword phrase as part or all of the domain name. Don’t waste your time trying to sell the new domain until you maximize its profit potential. Fill it with great content, appropriate design, and interesting features. Increased traffic will lead to increased ranking in search engines, which will then improve your chances of selling the website at a high price. In addition to creating superior content, you need to also tend to the technical components of the site. Optimize your content with keywords to enhance searchability. Include money making tools like Google Adsense or advertisements on specific pages. Building backlinks from good sites helps boost your rank. Linking to poor sites will not help you substantially. Finally, use Google Analytics to keep track of critical site stats, such as the number of visitors, how much income is generated, and advertising effectiveness. Selling a site is potentially intimidating the first time around. Flippa.com is a top site for getting good bids for your site. The largest amounts of bidders are drawn to this site. It also automatically verifies your Google Analytics stats, so buyers can purchase with confidence. Your listing requires detailed information about the site, such as the host, niche, keyword, traffic, monthly profit, and the means by which you gain income and visitors. Mention any services you plan to include with the sale. 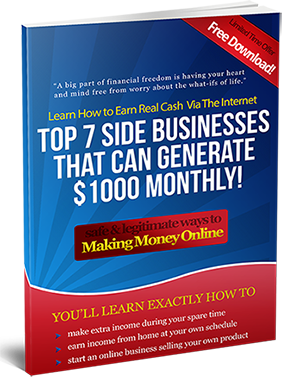 The price you are aiming for is generally ten times the monthly income of the site. This is just a ballpark figure that you can put as the starting bid price, but your site can also generate far more if it has a large subscriber list, has a much sought after keyword, enjoys good search engine ranking, or has enormous potential. Use an escrow service to hold the payment once someone buys your site. It will protect both your interests. After receiving the full payment, you can then transfer the ownership of the domain and website to the buyer. For the most part, there is no further contact between buyer and seller. In some cases, however, you will be asked to provide your expertise to help the new owner in the early stage of managing the acquired domain. You can discuss these details before the purchase is completed. Domain flipping can be profitable, but not without work. It takes some hard work to be successful in this field, particularly if you are going to flip domains that do not already come with existing websites. To develop these domains and to build websites successful enough to attract buyers, you need creativity, determination, and Internet marketing know-how. Improving poorly-performing websites or taking new sites from their infancy to the point where they generate cash, and then selling them for a profit can be a satisfying and lucrative online opportunity. Great topic , can you pls tell if there is anything more to look out for , i mean is there any other dangers ? ?